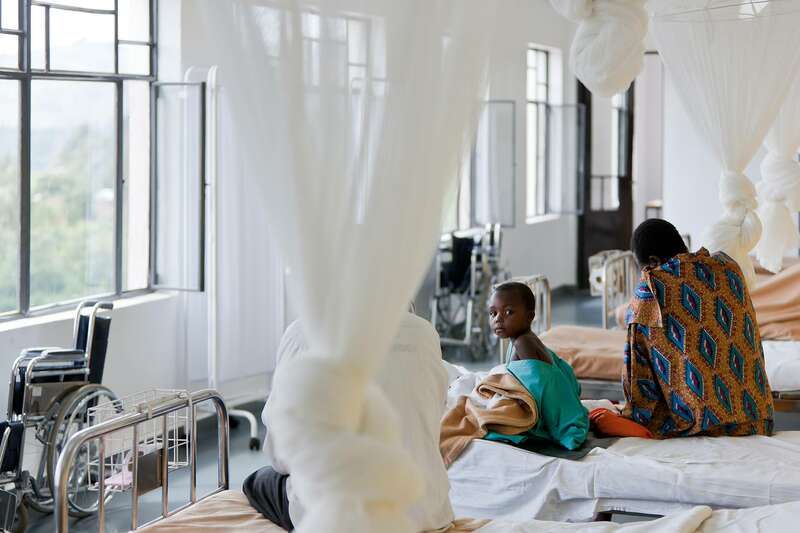 Bed-to-bed transmission of airborn diseases such as tuberculosis (TB) is an important public health issue, especially in simple, low tech hospitals. In a resource-limited setting protective measures, such as isolation rooms, are difficult to implement because the needed mechanical systems require constant maintenance and electricity. 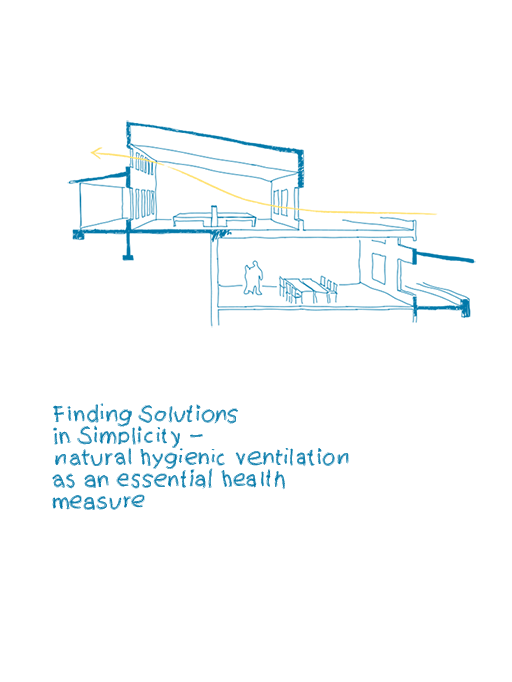 Natural ventilation offers a low-cost alternative, is maintenance free, and is particularly suited for tropical climates where the burden of TB and institutional TB transmission is very high. Opening windows and doors maximizes natural ventilation and, in addition, lowers the risk of airborne contagions. 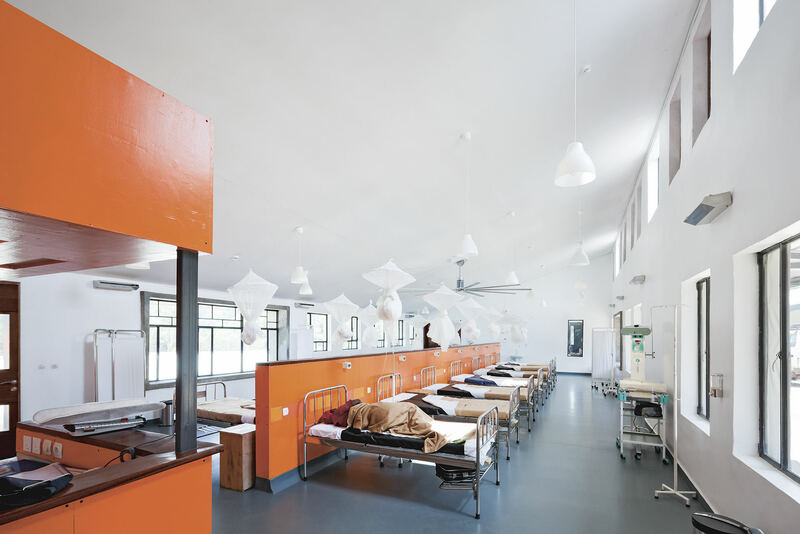 Clinical areas with high ceilings an large windows can meet the World Health Organization’s recommendation of 10 to 12 air changes per hour to provide good protection. 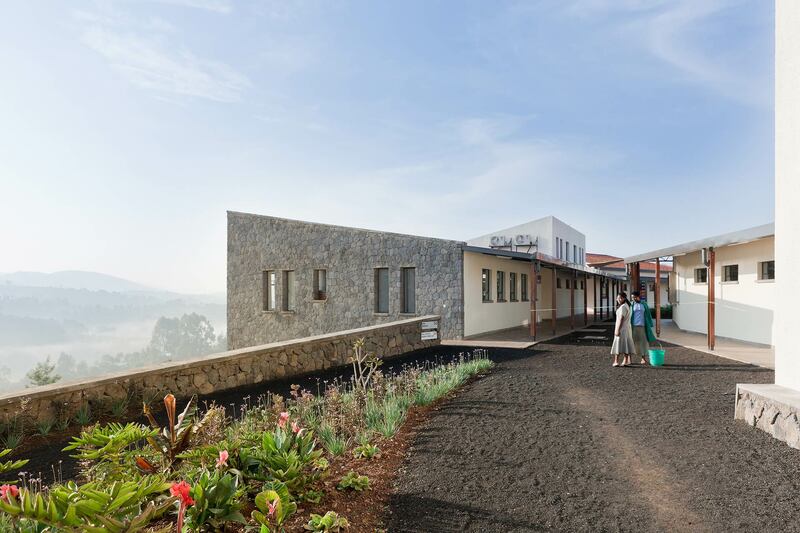 The design and orientation of the hospital complex in Butaro were influenced by these guidelines. Sitting atop a hill, the buildings are optimized for cross ventilation, with the support of ceiling fans and vents. The protected exterior circulation space reduces contact between infected and non-infected peoples. In addition, ultraviolet germicidal lights were also installed in certain areas. The building was constructed with local materials using local craftsmanship, ensuring a high level of ownership from the community. They call it their castle.